[Karachi, 9thSeptember 2013]:Garnier, a globally renowned French beauty brand, has entered the men’s grooming industry for the very first time in Pakistan with its exciting new range of skincare products that include creams and facewashes for men. 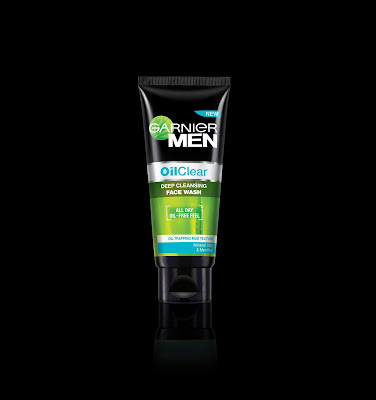 With the evolving grooming norms, the Garnier Men’srange in skincare is specifically designed to address thegrooming needs of men. The Garnier Men portfolio includes two cleansers and a face moisturizer: the PowerLight Intensive Fairness Moisturizer SPF 15, the Oil Clear Deep Cleansing Face wash and the PowerLight Face wash available at all leading stores across Pakistan. Garnier Men PowerLight Intensive Fairness Moisturizer SPF 15 provides performance you can measure as you experience visibly fairer skin from the very first application. It removes dark dead cells and reveals visibly fairer and smoother skin immediately. Additionally, the moisturizer is augmented with anti-pigmenting Long Dan that prevents production of skin-darkening melanin, and SPF 15 which protects skins from the harmful sun rays. 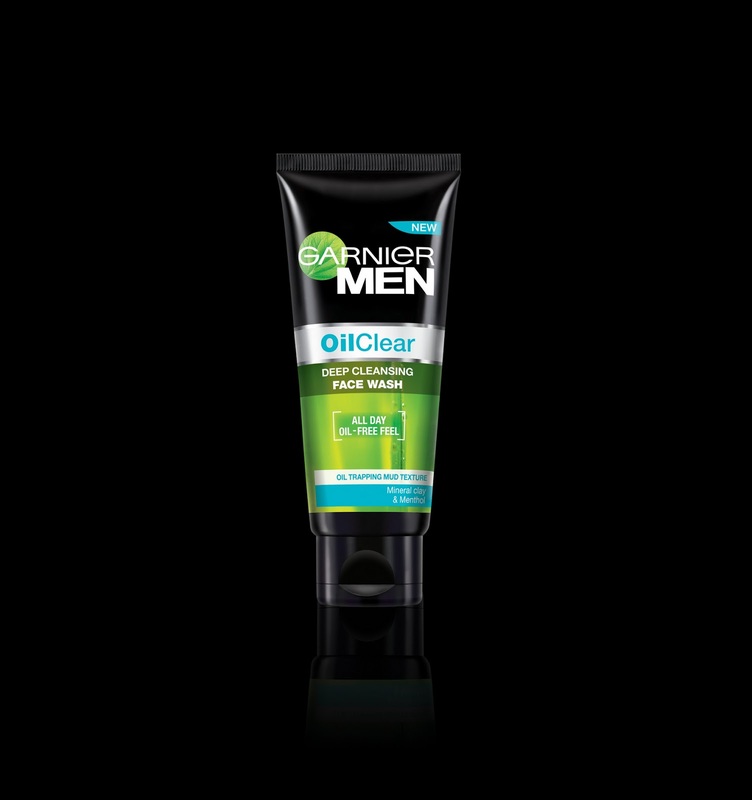 Enriched with oil-trapping mud texture, cooling cryo-menthol and oil absorbing material clay, the Garnier Men Oil Clear Deep Cleansing Face wash gets rid of excessive oil and makes your skin clean and fresh for a day-long oil free feel. The deep cleaningfacewash effectively removes excessive oil without drying the skin; along with its unique oil trapping mud texture, results in an anti-greasy feel. The Garnier Men PowerLight Intensive Fairness Facewash has an immediate deep cleansing effect achieved through the use of anti-oxidant grape water, brightening lemon extract and gentle micro-polishing beads that eliminate impurities, remove dark dead cells and visibly brighten your skin. 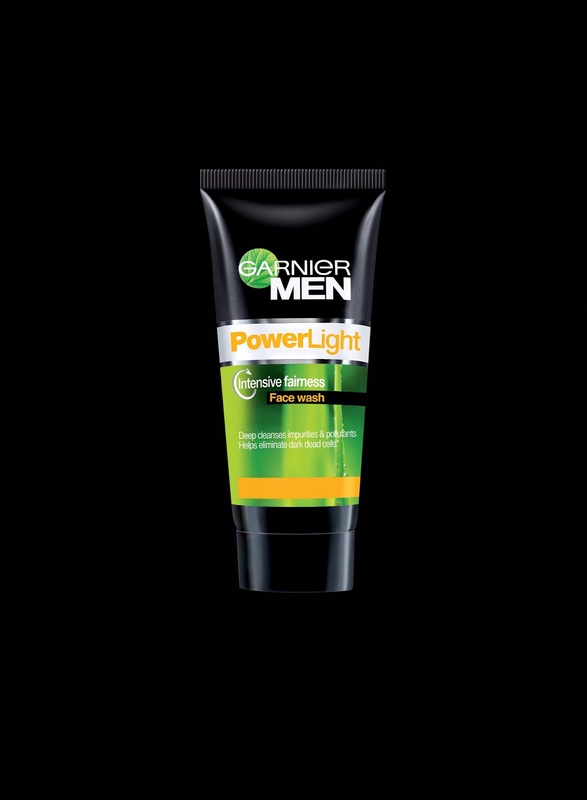 The Garnier Men products are easily available in stock keeping units of 50 ML and 100 ML for the facewashes and 50 ML for the face moisturizer. The individual products in the range are available at attractive price points of PKR 150/- for the face washes and PKR 299/- for the face moisturizer. Garnier Men is collaborating with leading casual menswear brand Outfitters on anew campaign whereby consumers have the opportunity to win complimentary products from the Garnier Men range on purchases of men’s clothing above Rs. 3,000 from select Outfitters outlets. Garnier Men is also collaborating with fitness partners, Synergy MMA and Smarts Health & Fitness Club,to encourage Pakistani men to take care of their skin while they maintain their physical fitness. 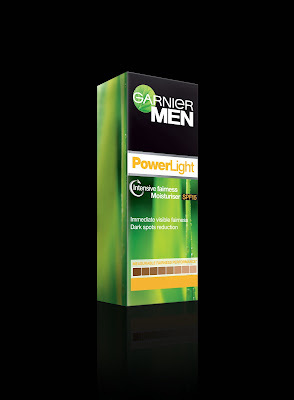 The Garnier Men’s range is for men who dare to care about their skin, about grooming, about takingcare of themselves,knowing that confidence comes with lookinggood, results in them feeling good and reflects in their daily routine, be it work or socially. In 1904 French chemist Alfred Garnier created the first hair tonic from plant extracts which marked the beginning of the Garnier brand. The full company name, Laboratories Garnier, originated in the 1920s and was acquired by L'Oréal, now the world’s largest cosmetics and beauty brand, in 1965. Today, Garnier is a worldwide brand affiliated with 23 other brands owned by L'Oréal and has grown into becoming one of the world’s leading producers of natural, affordable and accessible hair care and skin care products. The brand’s innovative beauty products have always been inspired by the science and power of nature and many are enriched with naturally sourced ingredients. Rooted in innovation, Garnier was the first brand to produce sun care items in 1936 and the first to make a permanent home hair color in 1960. Garnier exemplifies L’Oréal’s emphasis on scientific study where research for Garnier goes through 4 stages at one of L’Oréal’s 16 research centers. Through Bioscreening, a unique molecule screening method, Garnier is able to select the best ingredients from nature and identify their activity on the hair and skin, thus, discovering a diversity of ingredients of natural origin for the benefit of its consumers. Indeed, by combining high performance and effective formulae with active natural ingredients, Garnier creates caring products that 'Take Care' of their consumers. Garnier’s aim is to work in harmony with the way a person is and make a real difference to who they can be. Garnier’s renowned range of quality hair color, hair care and skin care products include the Garnier Color Naturals product line, a hair color that is enriched with Natural Olive Oil along with Color Naturals Intensity, sourced from naturally active based ingredients. The Skin Naturals line includes Garnier Lightenriched withPure Lemon Essence and Vitamin C and Garnier Essentials with Vitamin E. In hair care theFructisshampoo, conditioner and hair styling products are coveted. All of these lines have a wide range of products for the hair and skin, including hair color, shampoos, conditioners, exfoliates, facial cleansers, cleansers, toners, makeup removers, anti-wrinkle creams, anti-blemish creams and hydrating creams. In line with the brand’s philosophy of taking care of yourself, others and the world around you, Garnier is committed to sustainable development and is an environmentally conscious brand that recycles or reuses 91% of its waste. The brand also works for the awareness of breast cancer and globally, is working in conjunction with the British Skin Foundation and in Pakistan with ShaukatKhanum Memorial Cancer Hospital and Research Centre to take care of others by raising awareness about sun safety and breast cancer respectively, amongst its consumers. Garnier has a rich global tradition of cultivating local spokespersons from the world of arts, fashion and beauty and to complement this tradition they are represented bydynamic actress and celebrated television host JuggunKazim in Pakistan. The seasoned actress’ natural beauty, flair, professionalism and sense of social and civic responsibility make her a natural choice for Garnier. For Garnier, beauty is within us all. Everyone possesses their own natural beauty and everyone has the power to make that beauty shine through. It’s about taking care.